About 0.5 to 1 percent of the world’s population suffer from vitiligo. There are several misconceptions and a huge psycho-social stigma associated with this skin condition. The patients of vitiligo are often not completely aware of how this disorder develops, what the causes are and how it can be managed. Due to the lack of appropriate knowledge, they continually suffer from distress and low self-esteem. They also end up developing a negative attitude towards their body and life. Did you know that the legendary pop singer Michael Jackson also suffered from vitiligo? When it comes to this condition with respect to your body, don’t be fooled by misinformation. Rather, uncover the facts. If you know the right information, you will know how to deal with vitiligo. 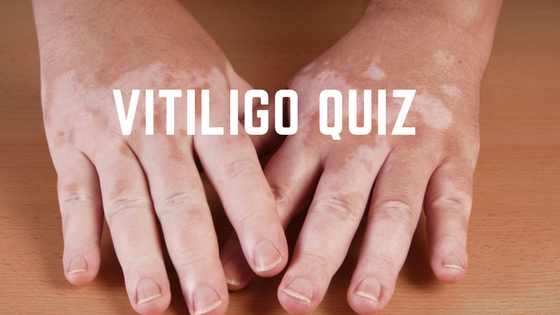 So, take this quiz to test your knowledge about vitiligo so that you can take informed decisions for its treatment and management, and create social awareness.